If you have been in Tulum for even a short amount of time you know it can be real a challenge to find out what’s going on. 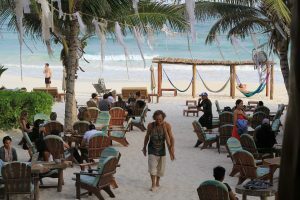 Tulum event promotion is also a big challenge to get the word out and update locals and tourists. Last minute changes to venues or weather can present other issues too. In Tulum, things so often happen in real time! A New Virtual Business Address in Tulum! You get a new professional web address and business listing on the TulumNow.com website and app. More than just a web listing in a directory, it’s a powerful promotional tool and dashboard! Add your content, connect your media and social accounts, and expand your reach online and on mobile with a popular local entertainment guide. Connect with your audience for event promotion, branding and improving your social media presence and SEO! With your TulumNow membership you will be able to send real time web and mobile notifications through the TulumNow App and website for any event. Our super affordable packages start at 7 live event notifications per week. Reach out to your audience IN REAL TIME: Target specific peak times for when people are making decisions about what to do at specific times of the day! Bonus notifications. Your event will be featured in daily group category notifications for updates on; live music, beach parties, concerts, happy hours, cultural events, last minute specials and any other categories that you have events for! As an event advertiser you will also have access to our blog roll for publishing your own original content and special promotions which will be featured on TulumNow.com and our Facebook page. As a TulumNow event advertiser we take a special interest in your business and events - helping you to succeed in all areas! With access, we will appear at your locations and special events, producing candid, tasteful and discrete professional photography that you will see displayed online and featured on our app and social media. Tagged for your event! We add value to every agreement and relationship we create, and we love our clients. It is SUPER affordable! Engage with your audience in real time. Here’s a link where you can get started with a month to month plan today. I have an event I want to promote! Add your business to the free or paid directory and expand your promotions here. Start Promoting my Tulum Events! 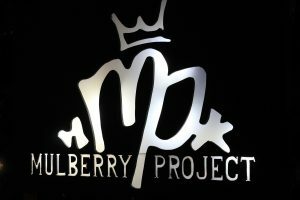 If you are a production company and want to expand more services and promotion, please contact us.